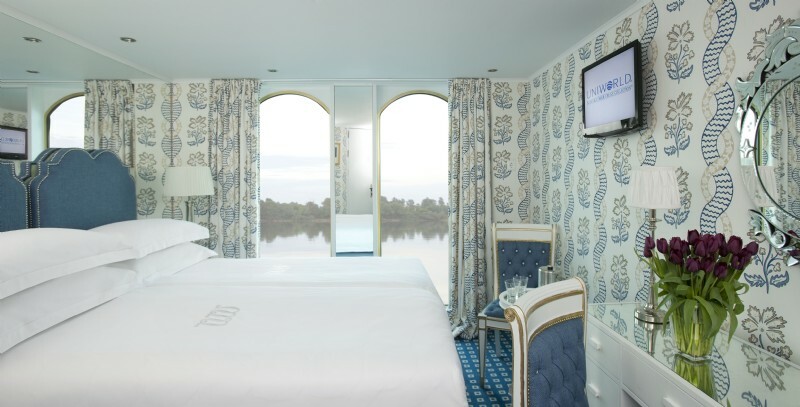 On the European river cruises that I’ve been on, I found our river boats’ interior design and our staterooms to be sufficiently comfortable, but I wouldn’t described them as plush. Of course river boat designs are continually being enhanced and what caught my attention is Uniworld’s latest remodeled cruise ships. I must say that I’ve not seen any small cruise ship interior as luxurious as the River Queen and River Empress. Both of these cruise ships sail the extremely popular Rhine River and were refurbished for the 2010 cruise season. Uniworld classifies itself as a “boutique” hotel-style cruise company. As such, all their ships are built to have a totally different look and feel, but at the same time what binds them together is the ’boutique feel’ of each of their ships, and their warm and intimate atmosphere. Uniworld’s philosophy is to design ships that stand out from the ordinary and in their fleet you won’t find the prefabricated look. 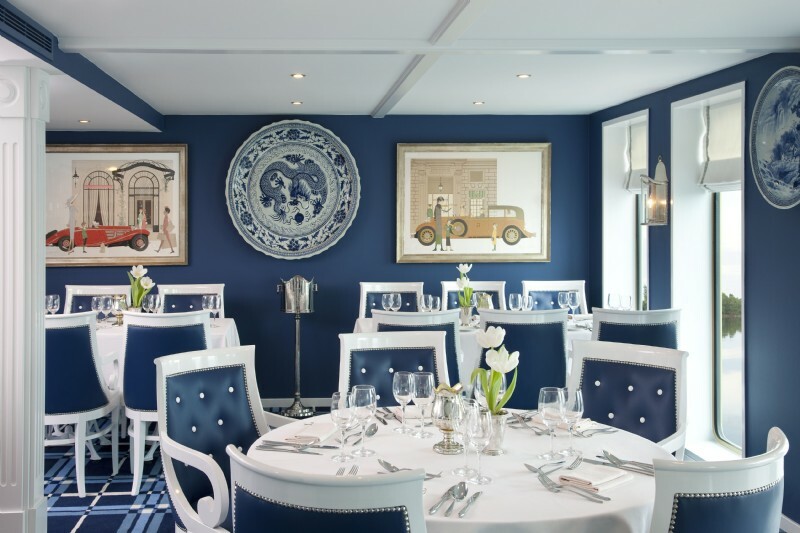 It helps that Uniworld has a sister company, the Red Carnation Hotels Group, who is able to apply all their boutique hotel decorating concepts to the river boats. The team at Red Carnation Hotels oversees the building of all Uniworld’s new ships as well as the remodelling of the fleet. The River Queen is the only river boat in the entire river cruising world to have a working fireplace. River Queen’s plush interior decoration and furnishing give a 5-star home away from home feel. The different category staterooms each have their own designs and colour schemes. The suites have coffee machines – very civilized! Amenities include quality L’Occitane bath products and cozy bathrobes! This I like very much. Uniworld’s ships are really 5-star floating hotels and it’s no wonder that many of their ships and cruises have won numerous prestigious travel industry awards. With ships like the River Queen and River Empress offering luxurious European river cruising, it’s hard to contemplate anything less.